Laketran, the regional public transit system of Lake County, Ohio, has elected officers who plan to continue the agency’s rollout of alternative fuel vehicles. In its 45th year of serving Lake County, Laketran has re-elected Brian Falkowski to a fifth one-year term as the board president. Chuck Zibbel, who has held the role of vice president since last May, will continue serving his position, according to a news update from the agency. “In 2019, we will be focused on the financial challenge of sustaining Laketran’s Dial-a-Ride service, as well as concentrating our efforts on ways to reduce costs by considering passenger vans and propane buses for vehicle replacements that are more fuel-efficient and digitizing our fare collections to eliminate the need for pricey on-board fareboxes,” he says. As Laketran explained early last year, it is aggressively trying to find ways to make its Dial-a-Ride paratransit service more efficient as ridership continues to grow alongside the region’s aging population. One of those strategies is transitioning the fleet from diesel fuel to propane autogas. 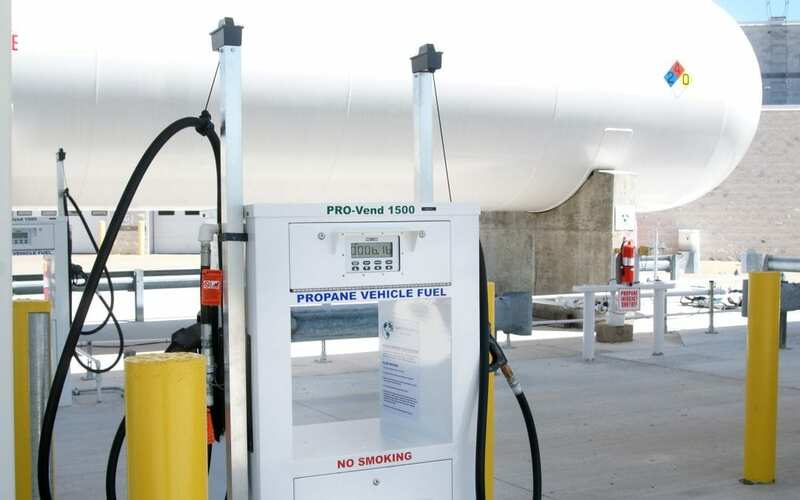 In 2017, Laketran also installed its own propane autogas fueling station. Read the full article, here.